The pieces of this entire story are slowly coming together. The picture that is emerging is erroneous and spurious at best, at worst, its shows a desperate government at work to save itself from a chaotic implosion. The existence of the so-called Novichok (Russian for Newcomer) chemical agent was originally manufactured at the height of the Cold War in the 1970s and 80s and disclosed as a chemical weapon by Russia in 1993. Russia joined the Convention on the Prohibition of the Development, Production, Stockpiling and Use of Chemical Weapons and on their Destruction in 1997. Russia has since (unlike the U.S.) destroyed all left over stocks from the Soviet Union chemical weapon program. This was confirmed in a NYT article of September last year. Putin himself made quite a public affair of the destruction of its last remaining chemical weapons stockpile, who then went on to accuse the USA of not doing the same as per the signed international agreement. There is no evidence that Russia is still producing chemical weapons. One of the key manufacturing sites was the Soviet State Scientific Research Institute for Organic Chemistry and Technology (GosNIIOKhT) in Nukus, Uzbekistan. Since its independence in 1991,Uzbekistan has been working with the government of the United States to dismantle and decontaminate the sites where the Novichok agents and other chemical weapons were tested and developed. For making that statement, Mirzayanov was tried for treason in Russia. However, the case collapsed and he left Russia to live in the USA, where presumably his skills as a chemical weapons expert continued. In the meantime, the British press have gone into peak propaganda mode. The Independent reports that (temporary) Wiltshire Police Chief Constable Kier Pritchard said “dozens of people were exposed to nerve agent.” It then goes on to admit that the number was 21, including Skripal and his daughter – and several of his police force. He told Sky News: “We’ve had multiple officers involved.” The total according to this piece could not have been much more than say 15, not ‘dozens’. Detective Sergeant Nick Bailey, a Wiltshire Police officer who was among the first to give help to the spy is now Britains hero police officer and been plastered all over the press for his heroic actions. None of the other police officers, members of the emergency services or NHS or members of the public have been identified or interviewed. None have been hunted down by the press or had their pictures taken, Not one of them has come forward. A meeting of Cobra, the government’s emergency committee, took place last Wednesday. Boris Johnson subsequently warned Russia that a robust response was forthcoming. So did Gavin Williamson – both jumping the gun prior to any actual hard evidence that the Russian state was responsible. At this moment (Tues 13th 04.16 GMT), no actual evidence exists irrespective of the claims made. The UK Office of Communications (Ofcom) will now review possible measures against the RT broadcaster – and a FIFA World Cup boycott looms with the British now asking Australia and others to follow suit. According to The Times, officials are already talking about preventing senior British politicians and officials from attending the event. Prince William, who is president of the Football Association, has confirmed he will now not be attending – all of these actions were announced prior to Theresa May’s “highly likely” statement. And now the American’s are going full throttle in support. The Washington Examiner’s article is pure comedy: “But the Russians also know that the British know that it was them. It’s thus a very Putin-style way of saying, “LOL.” Similarly, the assassins will almost certainly turn out to be cutouts without obvious direct links to the Russian intelligence services. And they will have been acting under Putin’s orders.” This article cites not one scrap of evidence. The fact that the Soviet Union, not Russia, developed such agents does not appear to be material. Nor does it seem to be that the manufacture of this chemical weapon was done in Uzbekistan. The BBC confirms that in 1999, defence officials from the US travelled to Uzbekistan to help dismantle and decontaminate the former Soviet Union’s largest chemical weapons testing facilities. When Tony Blair was in office, he granted Uzbekistan an open licence to import whatever weapons from the United Kingdom they wanted. (Read 2003 article Tony Blair’s new friend by The Guardian). The notorious authoritarian dictator of Uzbekistan had an abysmal human rights record. It had at one time 6,000 political and religious prisoners. Every year, some of them are tortured to death. The body of one prisoner was delivered to his relatives, with a curious red tidemark around the middle of his torso. He had been boiled to death. Nothing has changed in Uzbekistan since then. What is far more likely is that Skripal had too many enemies from too many countries. Skripal is not just a traitor to Russia who sold the identities of dozens of Russian agents abroad to the UK, in exchange for hard cash, he was a traitor to Britain as well, as he is a well known double agent. As we reported in our story “There’s More To This Story Than Meets The Eye” – Skripal’s attempted murder occurred just down the road from Europe’s largest stockpile of deadly nerve agents and chemical weapons laboratory at Porton Down. If anything, the involvement of Skripal in the Steele dossier and the CIA/MI6 operation against Donald Trump could well have created new enemies. Was he assailed because he threatened to talk about it? After all, Skripal would do anything for money. Lord Bridges, former Brexit minister, was urging Mrs May to get a grip as civil servants, desperately seeking some kind of political lead, have tried to fill the policy vacuum as the government is engulfed in crisis. 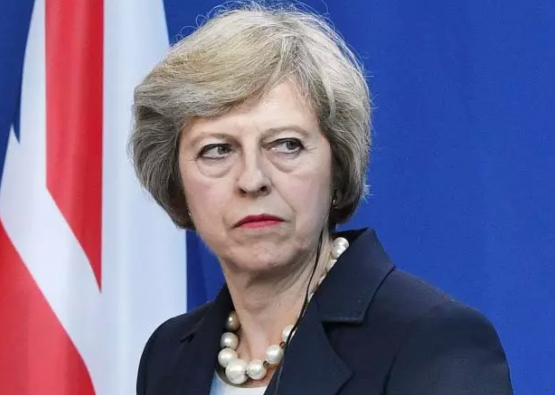 For all of the actual evidence, of which there is nothing but speculation, it is just as likely that this is Theresa May’s “45 minute attack warning” – just as it was for Tony Blair, which was one of the most fraudulent claims ever made by the British government, supported of course, by the mainstream media. Theresa May herself has used her words carefully. The PM said it was “highly likely” Russia was responsible for the Salisbury attack. She did not say, Russia wass responsible. There’s a difference. The American’s are making big of this opportunity. A good EU Brexit deal between Britain and the EU27 would not be good news for American corporations who are looking to fully exploit Britain, whilst keeping a NATO alliance partner (at a time when the EU is creating its own military force). In addition, the EU is already feeling the effects of American sanctions on Russia and wants this to end, so they can continue to trade. For America, pulling the UK further away from the EU has more benefits than otherwise. A desperate government will do anything to stay in power, especially this one. No doubt, the usual suspects will call us out as a ‘Russian apologist’ for saying so, but the fact of the matter is that there are no facts, otherwise they would have been proudly presented in a ‘told you so’ fashion.